wind turbine Archives - HGR Inc. According to the American Wind Energy Association, “With 60,009 megawatts of wind power capacity installed as of the end of 2012 and more than 13,131 megawatts currently under construction in the U.S., companies large and small see opportunities for expanding into the wind energy market.” To develop innovations that can be approved for use, the industry needs to test and demonstrate products on working turbines. The Wind Energy Research and Commercialization (WERC) Center at Case Western Reserve University partners with industrial partners Cleveland Electric Laboratories, Lubrizol, Parker Hannifin, Azure Energy, Rockwell Automation, Swiger Coil Systems and William Sopko & Sons. These organizations provided $3 million in funding. Since the projects inception, Sherwin-Williams and Northern Power Systems have joined to facilitate industry growth in the wind energy product market. The center is comprised of three wind turbines as part of the $3-million Ohio Development Services Agency Third Frontier Wright Project. 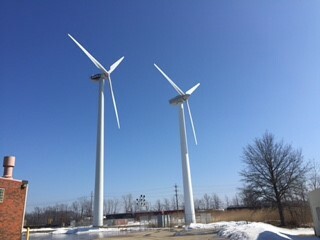 Two of the three turbines are located in Euclid, Ohio, on the campus of William Sopko & Sons. The largest turbine rises 230 feet and generates 1 megawatt that provides power to adjacent Stamco Industries. 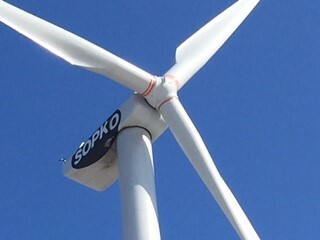 The intermediate-sized turbine powers Sopko & Sons, while the third and smallest is on CWRU’s campus and powers The Veale Convocation, Athletic and Recreation Center with more than 55,000 killowatts or 5 percent of what the center uses. A large turbine can produce 5 megawatts, enough to power more than 1,400 homes per year. According to David Matthiesen, WERC faculty director, “The project combines CWRU engineering expertise with funded facilities to provide platforms for the development of wind power supply chain products and long-term educational and training opportunities. 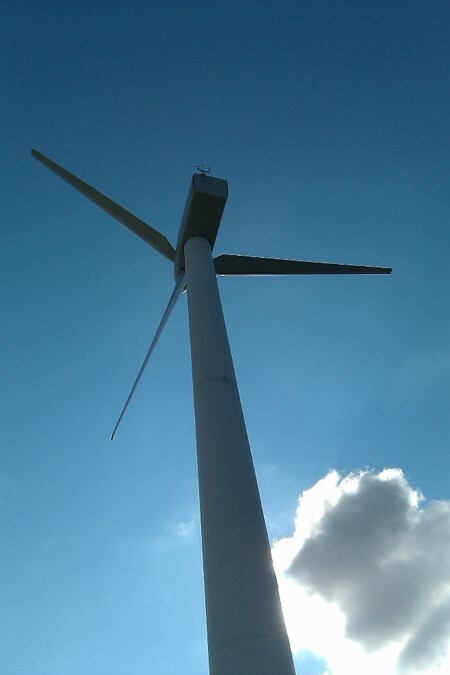 In addition to the research data being gathered, the turbines provide energy to nearby buildings.” The manufacturers involved incur no installation, maintenance or disposal costs.